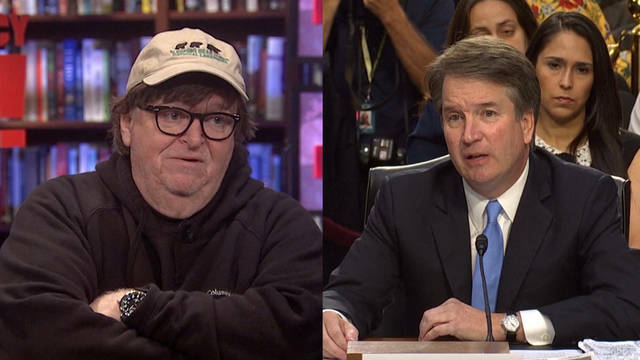 Michael Moore: Senate Must Take Dr. Christine Blasey Ford Seriously & Postpone Kavanaugh Hearing; Rev. William Barber: Kavanaugh on the Supreme Court Would Endanger Rights of Women, Workers & Voters; Rev. Barber: North Carolina Has Two Storms, Florence & the Policies that Keep People in Poverty; “A Matter of Life and Death”: Trump Admin Slashes Refugee Cap to Historic Low, Imperiling Thousands.